Berkom, a subsidiary of Deutsche Telekom, was in the 1990s looking for example applications that meaningfully used the growing broadband network of the time. Motivated by this, the company supported a series of ART+COM pilot projects, one of which was Mediatel. 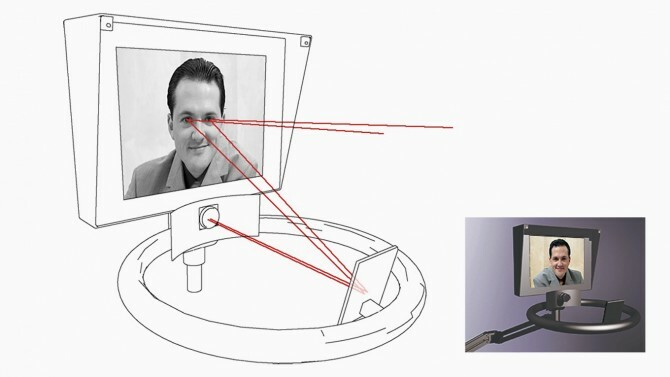 Mediatel is a videophone that enables users to look at one another directly in the eye when communicating (eye-to-eye communication). Not even the standard video conferencing systems of today allow direct eye contact since cameras are not integrated into screens. And though camera and screen are moving closer together over time, there is still a gap between the input and output medium. This fundamental problem was solved in the Mediatel system with a semi-transparent mirror set at an angle to the flat screen. Behind the mirror is a colour camera that records the user’s mirrored face. This image is reflected once again by a small mirror in front of the camera so that the output image is not reversed. Users do not see their own reflection, but look through the mirror into the face and eyes of their communication partner. 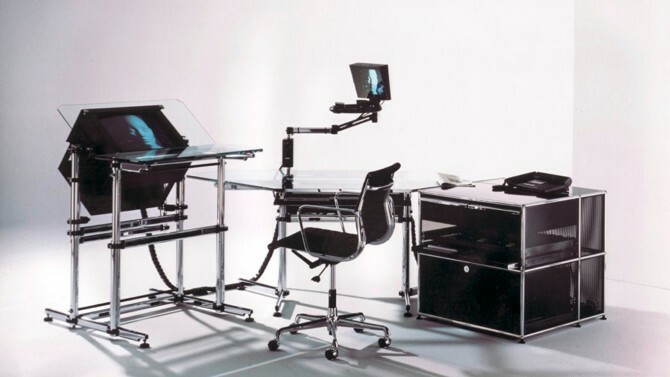 Designed for office environments, the videophone is mounted on a telescopic arm that enables users to phone standing, sitting or from other positions. In total five generations of prototype series were built and tested. One of these prototypes was installed in the Federal Chancellery temporarily.